Street style trends are not only inspirational; they resemble the creative, innovative and personal expressions of style. 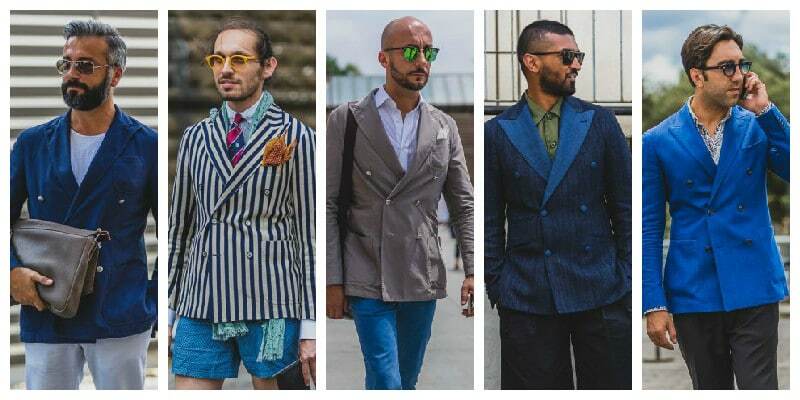 The latest in menswear SS16 street style has hallmarked a return to traditionalism, but with a twist. From the school uniform tartans and bold nautical stripes to the revamped double-breasted blazers and reconstructed denim, these are the trend-ticking pieces to consider adding to your spring and summer wardrobe. The recent street style trend of stripes alludes to a nautical edge, with recurring colours like bold reds, deep navies and crisp whites. 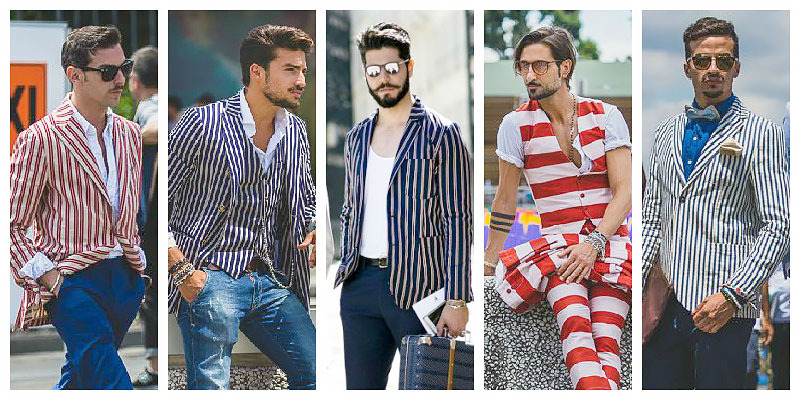 Keep looks casual with thinner pinstripes or go bold with thick statement stripes on t-shirt or jackets. Do not fear an unexpected use of stripes on the cardigan or a sweater and team them with darker sunglasses for a sleek finish to your striped looks. Elvis had it wrong; brown suede shoes are more worthy to be sung about. 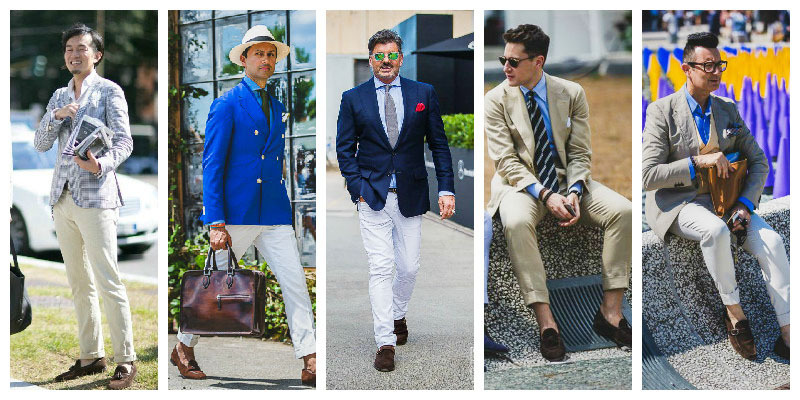 With clean lines, a brown suede loafer, boot or slipper can transition seamlessly with the neutrals and powder hues typically featured in spring and summer clothing palettes. Keep things versatile with deep, dusty browns for a classic annotation to existing staple pieces and team with clothing in varying shades of blue for a conventional yet relaxed interpretation of the trend. Avoid complicated styles and choose round toe shoes that will lend timelessness to looks. The relaxed simplicity of neutral suits is undoubtedly on trend, so it is no surprise that the beige blazer appears to be one of the 2016’s quintessential SS16 staples, featuring profoundly in Milan and London street style looks. Tailor neutral blazers to suit a modern silhouette and style with complementary pastel colours, keeping things simple. 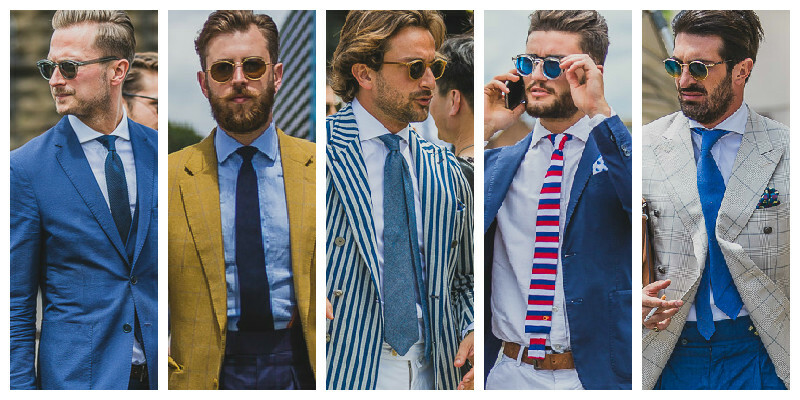 Subtle dashes of colour can be introduced to beige blazers with pocket squares and slim crocheted ties. 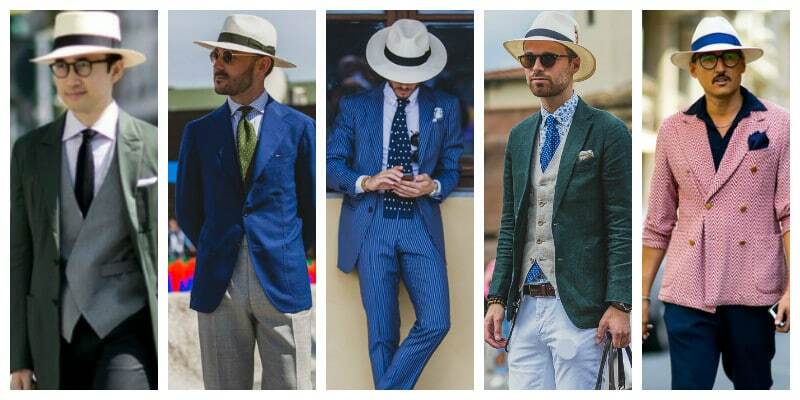 As practical as they are stylish, fedoras have proven to be a strong influence in contemporary street style. Despite the wide range of colours available, reference earlier decades with classical versions of this trend for maximum versatility. Beiges always work well with spring and summer staples or goes for a rusty green or dusky navy to complement darker colours. With its country influences, the traditional gingham motif is the ultimate in classic prints. Interpret this trend with more fitted silhouettes for a modernised take on an old favourite. 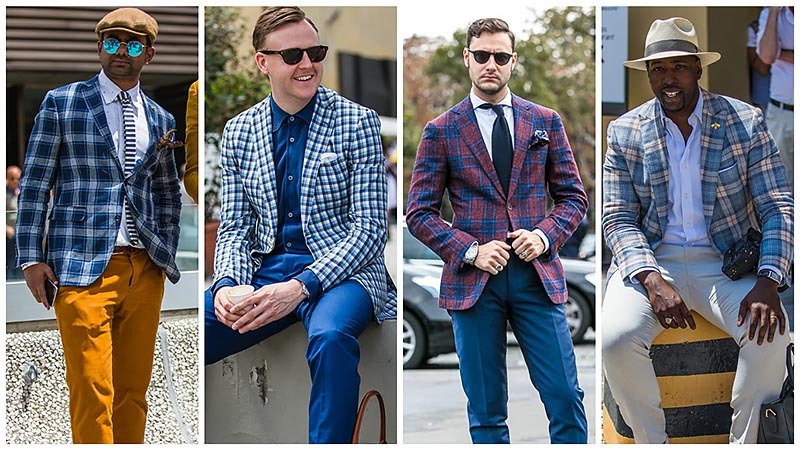 Conventional colours should be considered when trying out gingham, keep things timeless with powder blue, diluted navy and bold red versions of the print. For a more subtle interpretation of the trend go for gingham belts, ties and pocket squares. 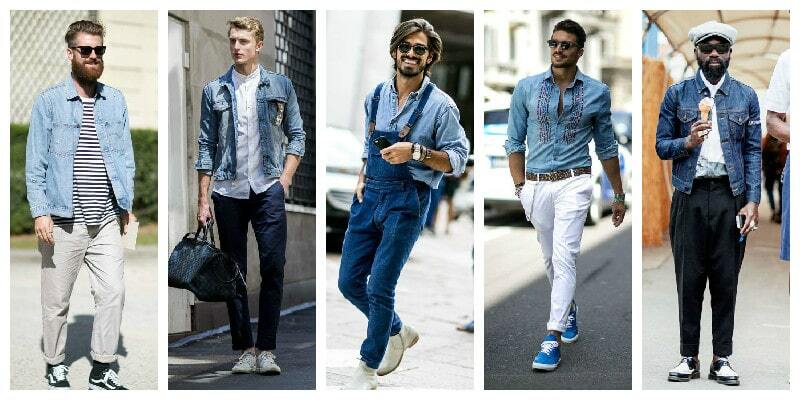 The latest SS16 street style trends spotlighted that it is the denim shirts and jackets that have earned a revival. Update the nineties trend with relaxed denim button down shirts that are versatile in both darker and lighter tones of blue and go for more fitted styles of denim jackets for a tailored approach to street wear. It is back to school with the newest interpretation of tartan print, reminiscent of private school uniforms. Tartan blazers work incredibly well as statement pieces and are particularly alluring in a range of traditional hues. Introduce classic styles of the print or interpret the trend more boldly with newer, brighter versions of the print. Round sunglasses have proven to be the preferred choice of sunglasses. Despite its traditionalist origins, round sunglasses can be reinvented with modern shapes and styles. Paired with bright hues or all black looks, keep things simple and effortless with this style of sunglasses. 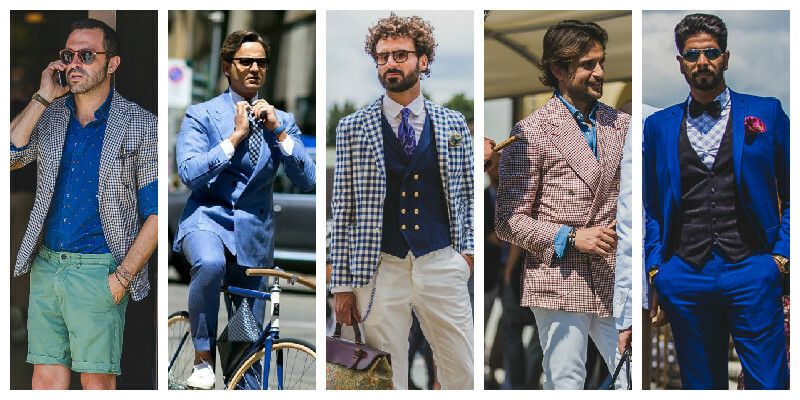 Double-breasted blazers have proven to be a recurring street style trend that can be worn in a variety of new ways. Adapt this traditionalist class of blazer in more fitted silhouettes to maintain a modern edge. Pair with white tees and fitted jeans for a contemporary take on this trend. 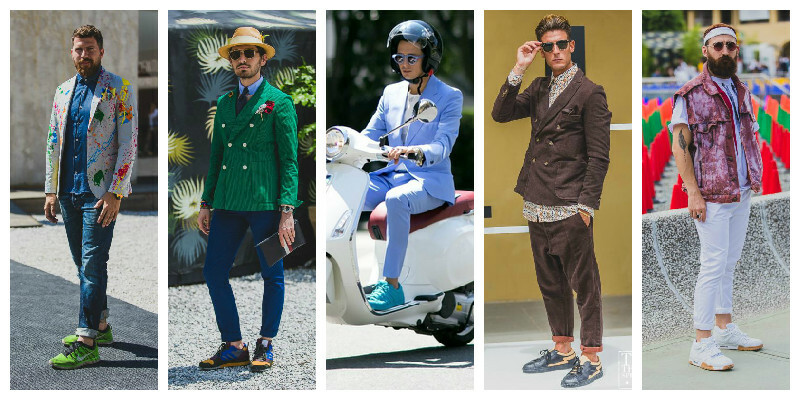 Additionally, look out for the vast range of brighter coloured double-breasted blazers that will add a pop of colour to your ensemble. Keep sneakers bold and colourful, taking inspiration from the wide range of street style inspirations that have recently boasted bright, statement trainers. Inject a youthful edge to basic colours like blacks and greys with brighter, more textured sneakers that will lift your looks. You can never go wrong with bright reds and neon blues for versatility.